Visual Basic for Applications (VBA) is the programming language originated by Microsoft. Excel, with all other applications of Microsoft Office suite 2003 and above, involves VBA language without any additional charge. Basically, it is a software enabling computer users to initiate programs controlling MS Excel. Tip: VBA and VB both somewhat same but, totally a two different animals. VB is used to generate a standalone EXE programs. Different activities can be performed on VBA Macro code but, what all needed is proper knowledge to implement them. In following section, users are going to find steps for dealing with solution to execute those activities. Note: These steps can be implemented in Microsoft Word, PowerPoint, and Excel application. Under Developer tab, go to Visual Basic section and click on Editor icon. Expand the Insert menu to append Visual Basic Editor and then click on Module button. On the provided windows mention the macro code, which you want to execute. Once completed then click on Word / PowerPoint / Excel menu and select Close and Return to Microsoft Word / PowerPoint / Excel option. Open Developer tab and under Visual Basic section click on Macros. From the list, select macro that is to be executed and then click on Run. Go to Developer tab >> Visual Basic and then click on Macros. From the flashed list of options, click on the Macro that you want to edit and click on Edit button. A Visual Basic Editor gets open on screen, permitting users to modify code as per demand. After successfully making changes in existing macro statements, expand PowerPoint / Excel / Word menu. Choose Close and Return to Microsoft PowerPoint / Excel / Word. Select Macros option, which is located under Developer tab. In the shown list, click on the macro, which you want to delete. 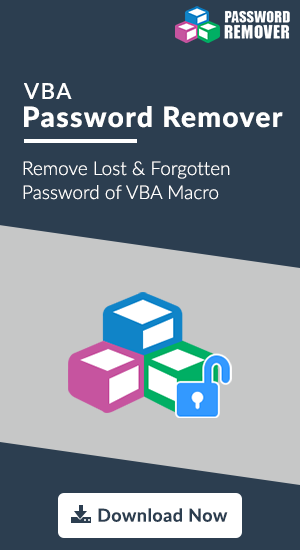 Finally, click on Delete button to remove VBA Macro. Click on Settings icon, which is located on right-hand side of the ribbon. Hit on Ribbon Preferences to continue. Check the check-box of Developer, which is located under Customize section. It becomes difficult to use new feature of any application, if a person is not knowing way to utilize it. Same is the case with VBA macro in Word or any other Microsoft application. In today’s date, there are many users who are not knowing methods to create, run, edit and delete VBA macro in Excel, Word, or PowerPoint. This unawareness leads to improper use of VBA macros. Read this blog and get updated with solution to not only create and execute VBA macros but also to modify and delete them, accordingly.